Hokuto Force is back and this time they have brought a new member along for the ride. Say hello to Zaphod as he has cracked his very first scene game for the C64, ' Mystic Mansion '. 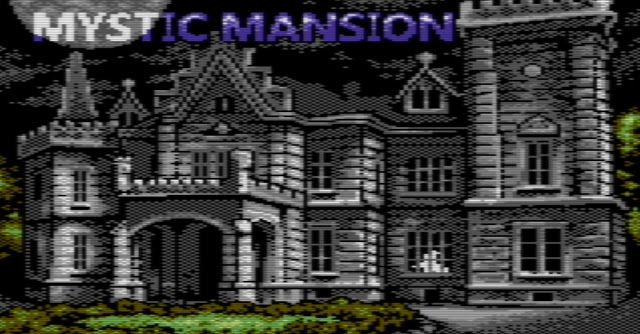 This is a game that goes way back to 1983 by JV Software and you play as Whitecap the Ghost that must traverse the huge 60 room mansion to collect the 40 treasures hidden throughout while being blocked by the evil within. To be able to get these treasures in time, certain rooms have traps and fast moving enemies, that if you're not careful enough will hurt you bad, bad enough that too many times and you will vanish forever. Thankfully though you are no ordinary ghost in this spooky release, as this little white spook has a special ability, and that's what makes this game rather unusual. Your ghost can transform into more useful objects as noted in the load up text. 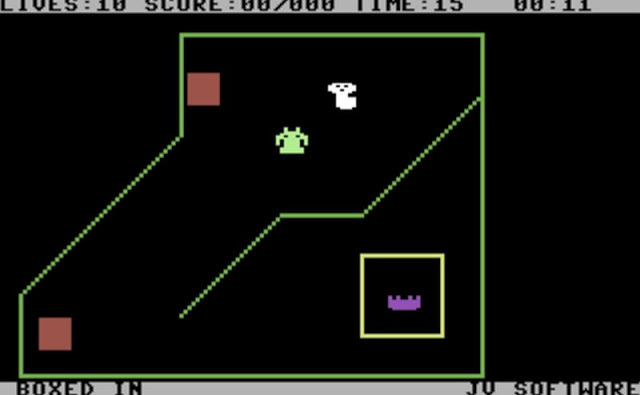 Although I'm not sure what the ghost is supposed to be when it first transforms as it looks like a fingered turret that shoots stuff. Overall it isn't a bad game but a bit bland in graphical quality even for a C64 game, but I guess I can forgive that as it was from 1983. But even so many people did like it even back in the day with some commenting " I've played it for hours. Simply but addictive " and " Pretty good game get's a bit tricky after a while tho, also known as castle hassle ". As such you probably should give it a go, as thanks to Hokuto Force with graphics by Oliver Orosz and of course the new member, you can download it again today cracked with a new trainer.